Assembly Bill 59 to reverse court ruling. Nevada Attorney General Adam Laxalt is urging the Nevada Legislature to pass AB 59. It is urgent that you call your legislators to let them know that you disagree with this law ASAP. This is an attempt to reverse last years court decision that limited the ability of the State Board of Parole Commissioners and the Division of Parole and Probation to set conditions for persons under lifetime supervisions, a role the courts said belongs to the legislative body. If passed, they could then add rules and conditions without legislative action and enforce these rules as laws of the state. Call your legislator now and state your opposition to AB 59 today! Click here to lookup your district and legislators. 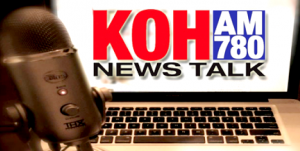 Click the picture to go to KOH News Talk story. Click here to go to the Bill – AB 59 text. This is ridiculous! I did 10 years for a crime I didn’t commit, had a manipulative p.o., and now this? No attorneys will help me to get my conviction overturned. My only options are suicide or leave the country. I’m not willing to leave the country. However I am willing to let those corrupt “things” known as Parole and Probation and law enforcement find my corpse. I know it is a difficult situation that many of us find ourselves in. Suicide is not a solution. It stops the debate in its tracks for a particular experience, the person who takes their own life. Doesn’t change anything except a statistic. I encourage everyone to stay the tough course and prove the belief system behind the rhetoric wrong by living a good life.